It's been a while since I put boot to a hill, but last week I took a walk to Ilkley Moor. 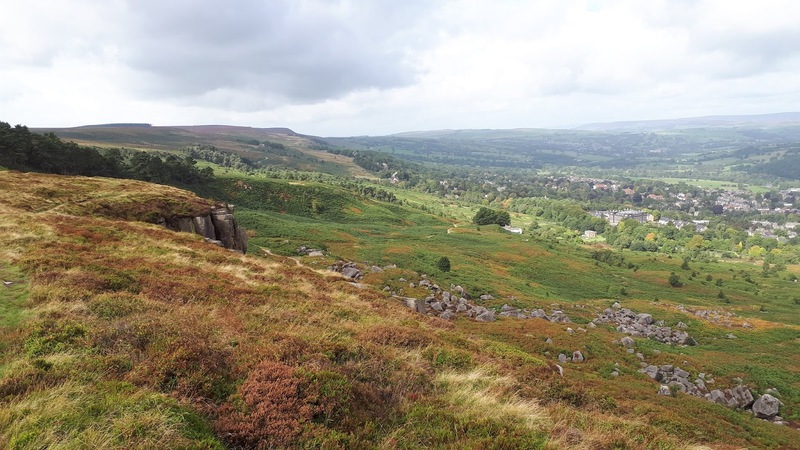 This most famous of moors provides a superb natural viewing platform of the surrounding Yorkshire landscape. It was quite breezy on the day and Autumn felt like it was on its way again. But a day such as that can provide a level of clarity second to none. From not too high on the fringes of Rombalds Moor you could stare straight up Wharfedale toward it's highest of fells. 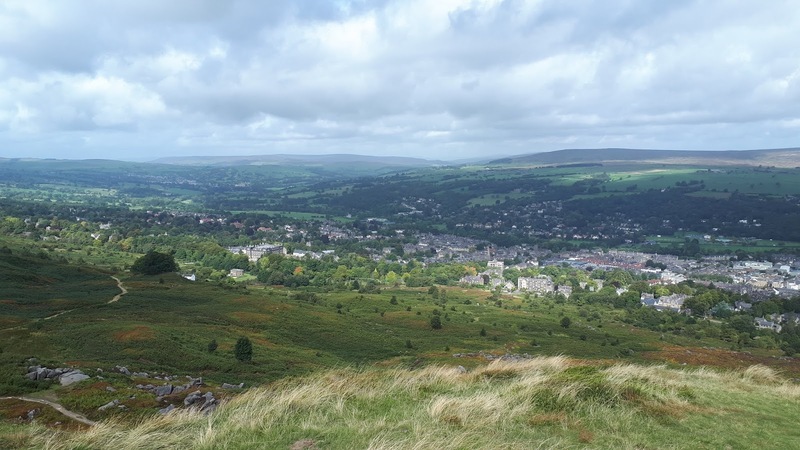 Looking across the town of Ilkley is Beamsley Beacon, across the river Wharfe to the north west is the sprawling Thorpe Fell Top, but looking between those two moors to the north, Simon's Seat, Meugher, the mighty Great Whernside and it's one metre lower neighbour, Buckden Pike. Horse Head, and Yokenthwaite Moor could also just about be seen, some 30 miles north from where I stood. This photo shows little of what could be seen but not bad for a phone camera. 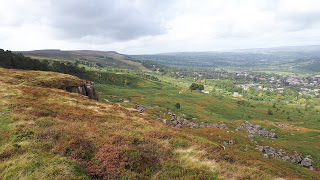 Ilkley Moor once again for me cementing itself as the perfect place to begin your walking life. Lovely to return to this special place. Hi Steve, good to see your blog active again. One side of my family is from Guisborough, so not so far from where you were walking. Been a few years since I was up that way for anything other than either a wedding or (sadly) a funeral, but apart from one or two popular spots the area is something of an unsung gem if you like a bit of peace and quiet and freedom to roam.